« Fluoride is Really Bad For You! Sometimes we don’t have time to eat whole fruits, it’s too messy or we just don’t like it much. So making juice of out them seems like a great idea! We still get the nutrients right? Well, not entirely. 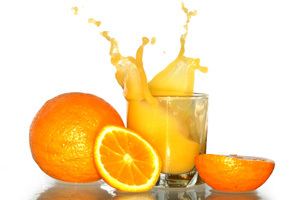 Freshly squeezed juice is good but not sufficient. We’re missing on a lot of the vitamins present in the pulp and the skin. I usually pour myself some OJ in the morning and I feel it’s healthy but obviously, I could do better: I could just eat the orange! Besides squeezing the oranges, I filter the juice because I hate that pulpy consistence. Double mistake! It’s definitely convenient to have juice instead of fruit. Sometimes we even buy concentrate juice instead because it saves time and it lasts forever. That is obviously bad for you, considering all that is added to it. If it’s processed, it’s not good.